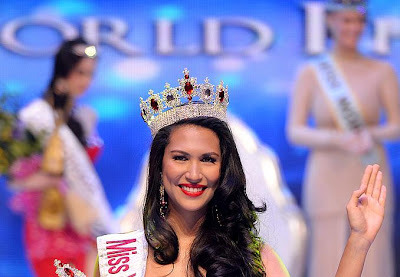 Gwendolyn Ruias from Muntinlupa City who has been crowned Miss World Philippines 2011 on Sunday, 18th September, at the Philippine International Convention Center in Manila. 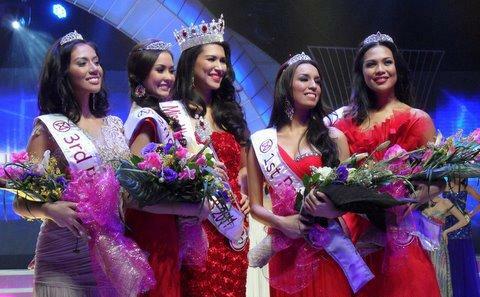 Gwendolyn beat 24 other girls from all over the country, to take out the title and she is now on her way to the Miss World 2011 competition in London to represent Philippines. Gwendolyn will receive p1 million cash, a brand new condominium unit at the Sea Residences from SMDC and will have a GMA 7 management contract.